John Williams may be walking away from the movie franchise that not only made him an icon in the business but became the soundtrack for the lives of so many. NME reports that in a recent conversation on the radio station KUSC in California, the legendary composer hinted that the coming “Star Wars: Episode IX” would be the final movie he would score in the saga (comments at the 5:00 mark). To this point, Williams has scored every “Star Wars” movie in the Skywalker saga (including the prequels). He recently received an Oscar nomination for his score on “The Last Jedi,” which marked his 37th nomination (he’s won five times). Even if Williams does go through with it, don’t expect to lose the maestro for good. 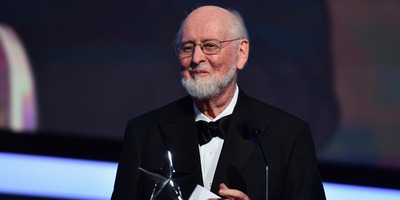 On deck, along with “Episode IX,” he’s got Steven Spielberg’s “The Kidnapping of Edgardo Mortara” and the next Indiana Jones movie, which is still being developed but is set to be helmed by Spielberg. Williams is one of the best-known film composers of all time. Along with creating the memorable “Star Wars” scores, he also did the music for “Jaws,” “E.T. the Extra-Terrestrial,” and the “Harry Potter” movies, to name just a few. Business Insider contacted Williams’ representative for comment but did not get an immediate response.